The Beards, Adelaide's all-bearded band that only sings songs about beards, is recruiting Australia's best beards to join Team Australia which will compete for the land down under (or up over depending on your perspective) at the WBMC 2009 in Alaska. Unbearded but patriotic Aussies should stop shaving now and plan to join the team in Anchorage. For more info email Michael at thebeardsclub@hotmail.com. 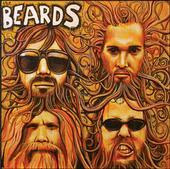 For more on the Beards, see www.myspace.com/thebeardsclub.